Special Lot Nickle Plated Casing with a speer head stamp. 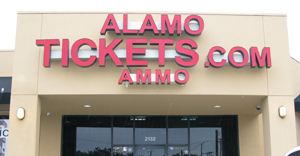 Alamo Ammo is local to San Antonio and will ship 9mm Independence 115 gr FMJ 50 Rnds within the US. Local Ammo Sales can be picked up at the office and get great discounts on 9mm Independence 115 gr FMJ 50 Rnds as well as saving on shipping.